Once visitors make it over, virtually everybody falls in love with Turin, its elegant architecture and rational structure - a legacy of the Roman times. The ancient Roman military camp on whose grid the Turin's downtown developed together with the Palatine Towers are the local Roman souvenirs to remind everyone that Turin has a long history! 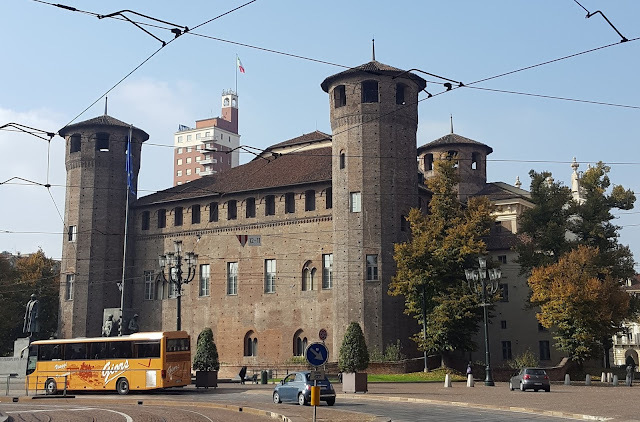 Walking around is the best way to get to know Turin and its history, because you can still see and recognize the historical layers of the different ages, starting from the Roman times. In 58 BC, on their way up to France, the Ancient Romans stopped in our plain and set up their well organized military camp. 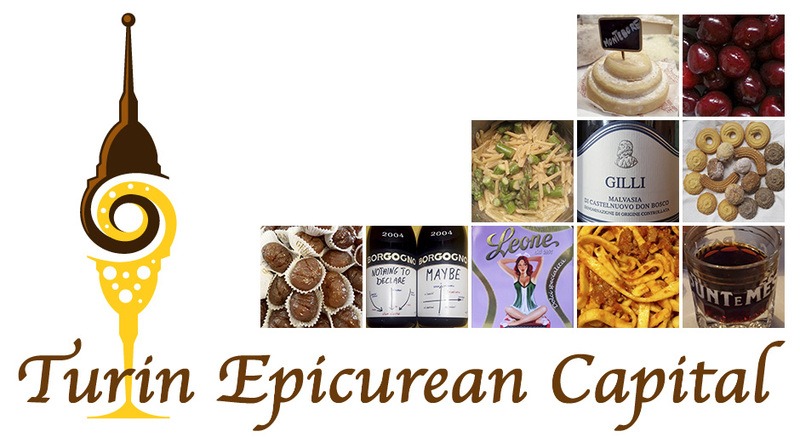 As per Roman tradition, the tents were located in the lanes built following two main streets: the decumanus maximus that cut the camp east to west and the cardo maximo, that cut the camp north to south. 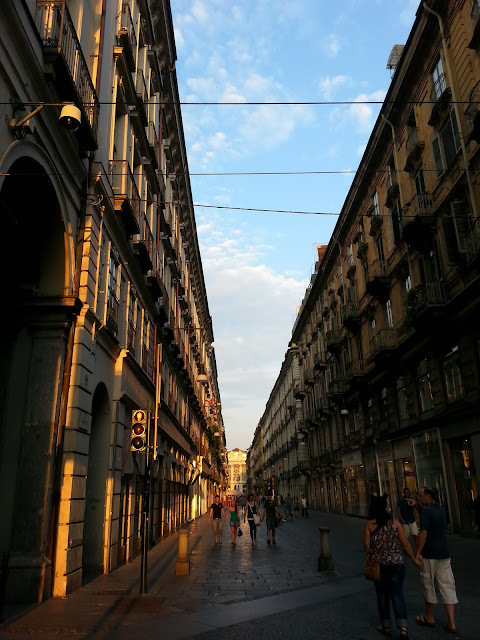 All the lanes where built within a squared area - known in Italian as the Quadrilatero Romano or the Roman rectangle - that has survived through the centuries, giving Turin its "Manhattan-like pattern". Both cardo and decumano are still there: the decumano is the current Via Garibaldi while the cardo is Via San Tommaso. 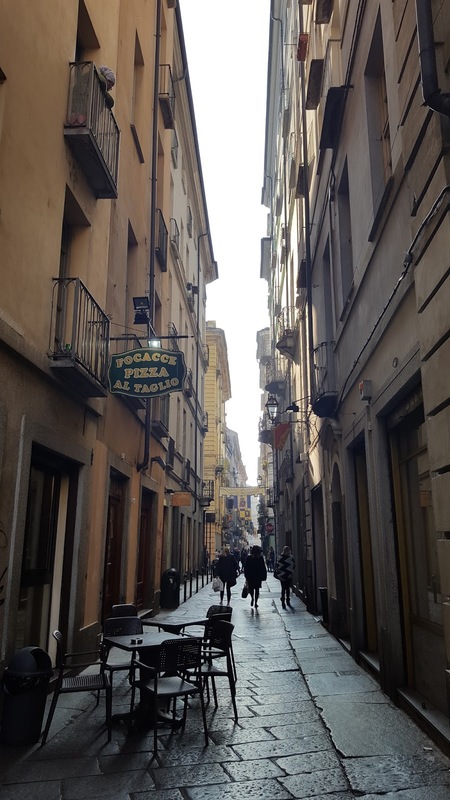 Following Via San Tommaso, you end up in Piazza Cesare Augusto where the Palatine Towers are still standing and, following Via Garibaldi, you end up in the current Piazza Castello. This is the square with two royal palaces: Palazzo Madama, where the queens lived, is right in the middle of the piazza. 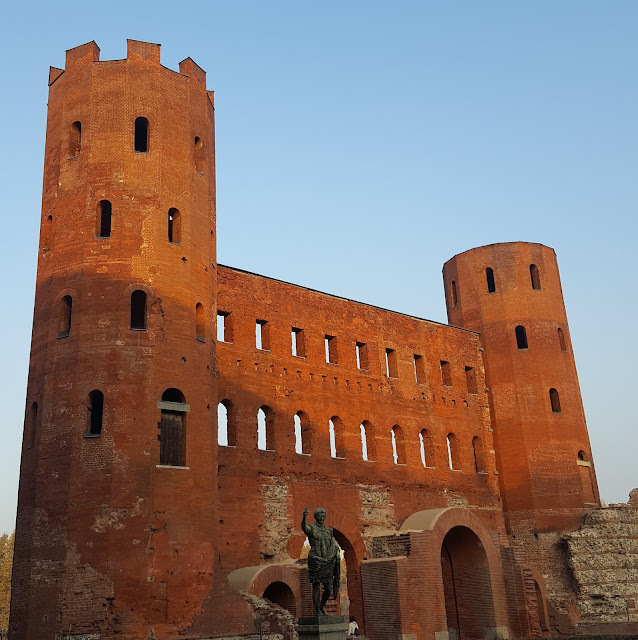 The medieval half of this castle still shows the "architectural recycling" of the two original towers of the Roman getaway matching with the Palatine ones, near the Porta Palazzo market. The Palatine Towers are the best preserved 1st century BC Roman gateways in in the world! Just like the towers in Palazzo Madama (in the picture below) they have 16 sides, and share a wall with four doors: the two central doors were larger to allow the chariots passage, while the two smaller doors at the sides were for horse-riding and walking people.